It all started with a Mouse! Here is Mickey in his most classic and well known pose with a little design flair courtesy of Jim Shore for the Disney Traditions collection. 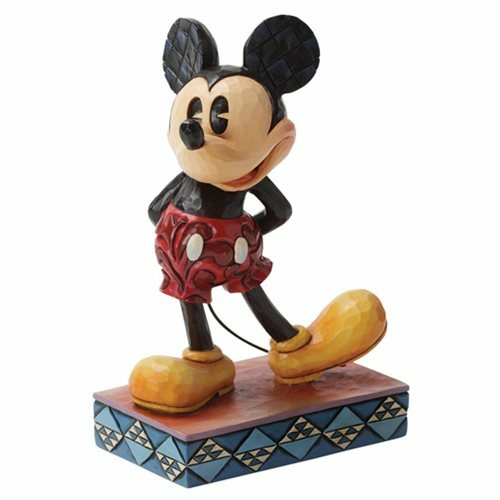 This Disney Traditions Classic Mickey Mouse The Original Statue is made of stone resin and measures approximately 4 3/4-inches tall x 3-inches wide x 1 3/4-inches long. Ages 13 and up.